Several very unusual factors related to the moon, and thus the ocean’s tides, all lined up at once before the Titanic’s sinking, which may have influenced the icebergs in the region. 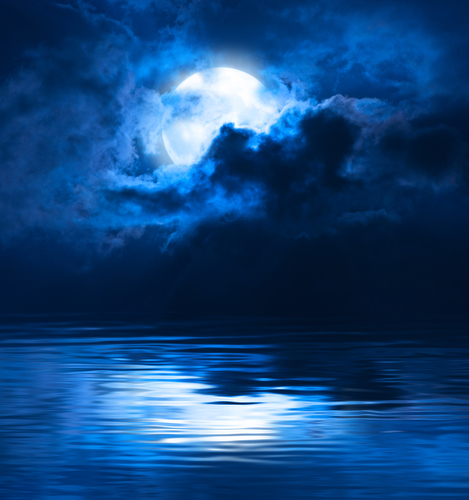 On Jan. 4, 1912, the moon was closer to the Earth than it had been in 1,400 years and it reached this point within minutes of a full moon; this had a strong impact on the ocean tides. The Earth made its closest approach to the sun just the day before, and the moon and sun lined up to create a “spring tide.” A spring tide occurs when there’s a new moon or a full moon, when the Earth and moon’s alignment creates an especially strong gravitational force and the tides are either exceptionally high or low. The Titanic sank four months later. Though the university researchers are unsure whether the tides moved the icebergs onto the path of the Titanic, they say there were an unusually large number of icebergs in the region at the time, and it is possible the moon-related events are to blame. 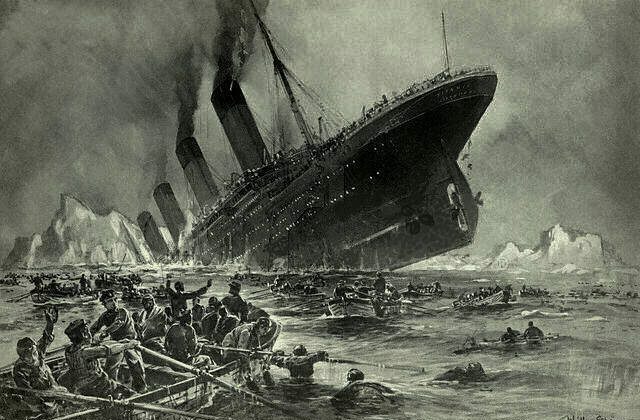 One more moon factor contributed to the sinking: the evening of April 14, 1912 was moonless, so the ship staff did not see the iceberg until it was too late. Author Morgan Robertson wrote of the sinking of a fictional ship he called the “Titan” in 1898, which bore a remarkable resemblance to the Titanic. The Titan sank under almost the exact same conditions 14 years after the book, titled “Futility” was written. Robertson’s Titan was 800 feet long, the Titanic 882.5. Both ships were all steel with three propellers and two masts. Each was built to carry about 3000 people. The gross tonnage of the Titan was 46,328, the Titanic 45,000. The Titan’s horsepower was 40,000, the Titanic’s 46,000. Each was described as the largest passenger ship ever built. Both were considered unsinkable until they went down in the North Atlantic. There were far too few lifeboats on either ship. The Titan was traveling at 24 knots, the Titanic 22.5. Both wrecks were in the month of April. Both stuck an iceberg on the starboard side near midnight.